I just like it outside of voidform because I can cast that, refresh dots, cast sw: void twice, then I'm back into voidform without having to mess with mind flay. I've been using Fortress of the Mind lately. Better but I need to pad on adds to get orange. They let me solo heal heroic Zek'voz. "extra time to enjoy the Double Bounty Cache buff"
Is Blizz posting HITs now? 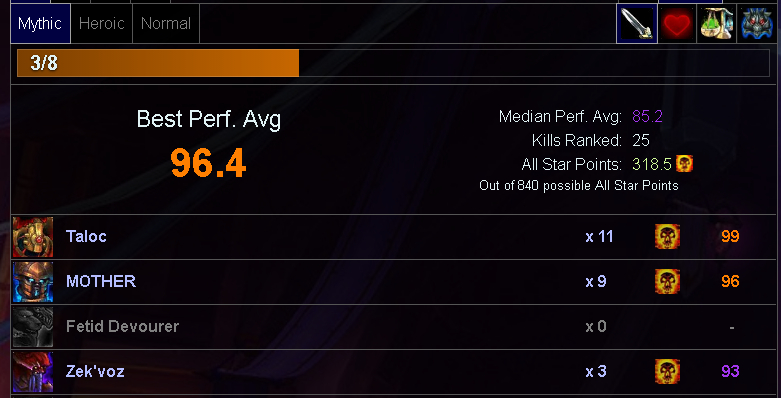 Why did a 2439 resto druid join this +15 ML horde alt run? Is this the biggest thread on the forum? This is my LiveJournal now. TotalBabe and aveline like this. I like to think of this as someone making a cell phone case out of the face of another human being.